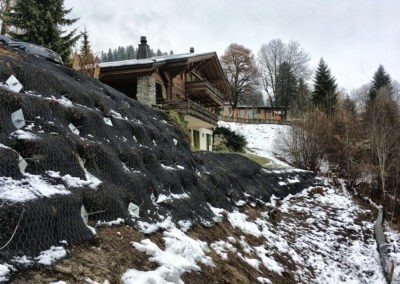 As part of the original construction, large diameter timber poles were used to create a retaining structure to support the slope below the new house. 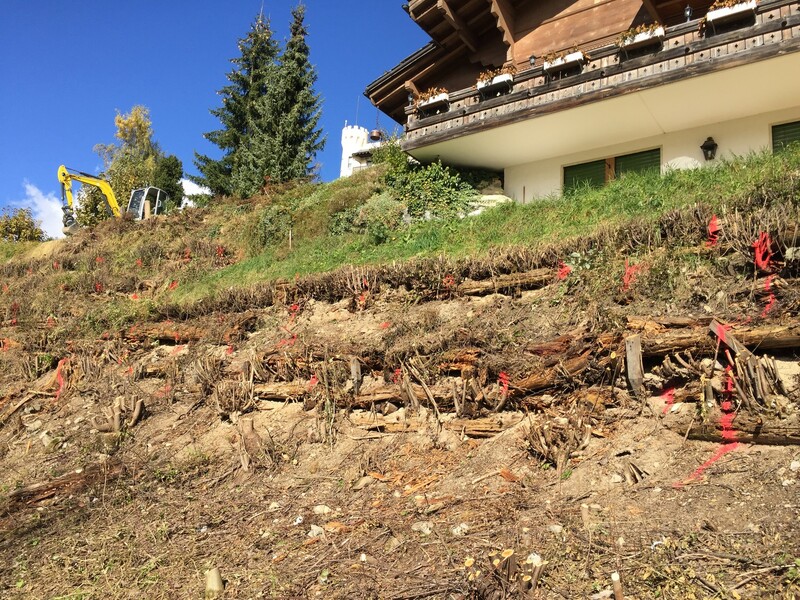 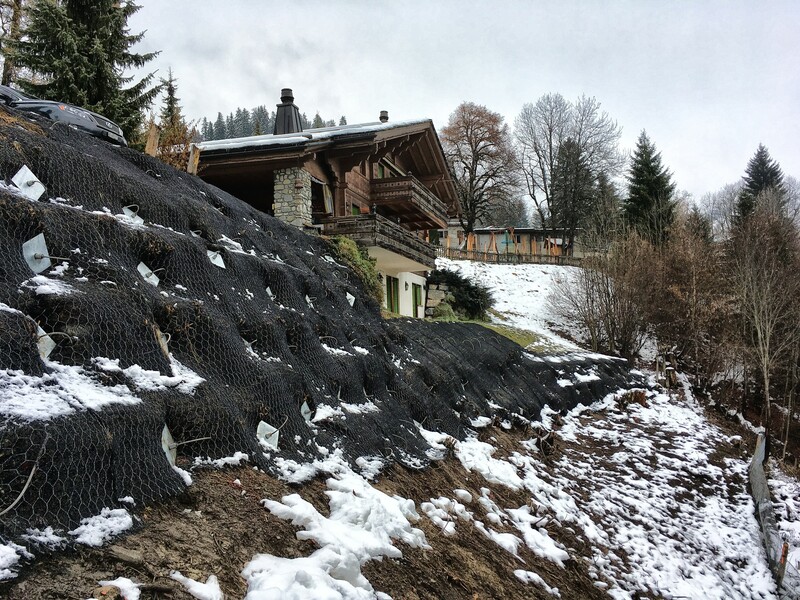 Sixteen years later this wooden section had almost completely rotted away causing a number of slope stability issues which required a more permanent solution. 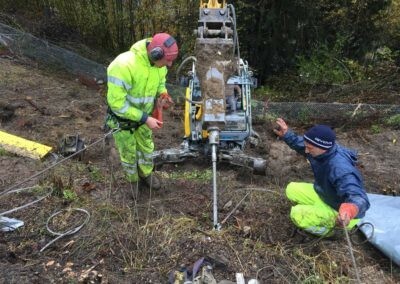 Platipus partner Anteq SA completed a combination of on-site tests and alongside existing geotechnical details confirmed that the soil conditions here were very well suited to Platipus Anchors. 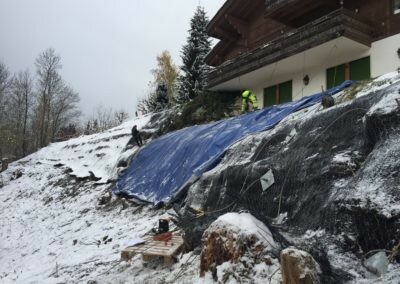 The Indemnified Design specified that anchors should be driven to refusal to ensure overall stability of the 500m² slope. 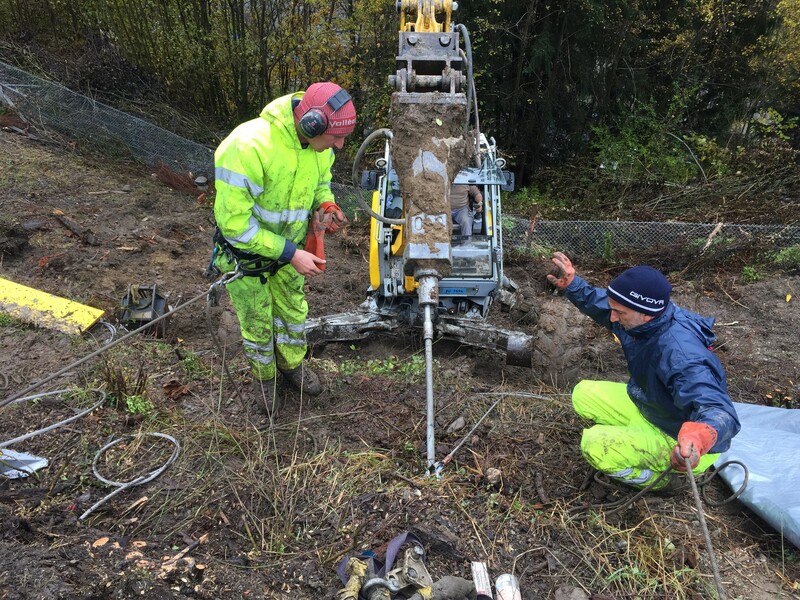 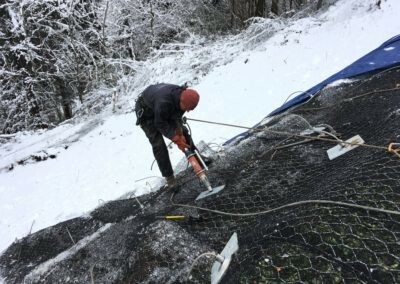 This was completed using the B4 Percussion Drive Earth Anchor (PDEA®) installed with a “spider” excavator due to the challenging access of the 55° slope – each anchor was then proof loaded to 45kN. 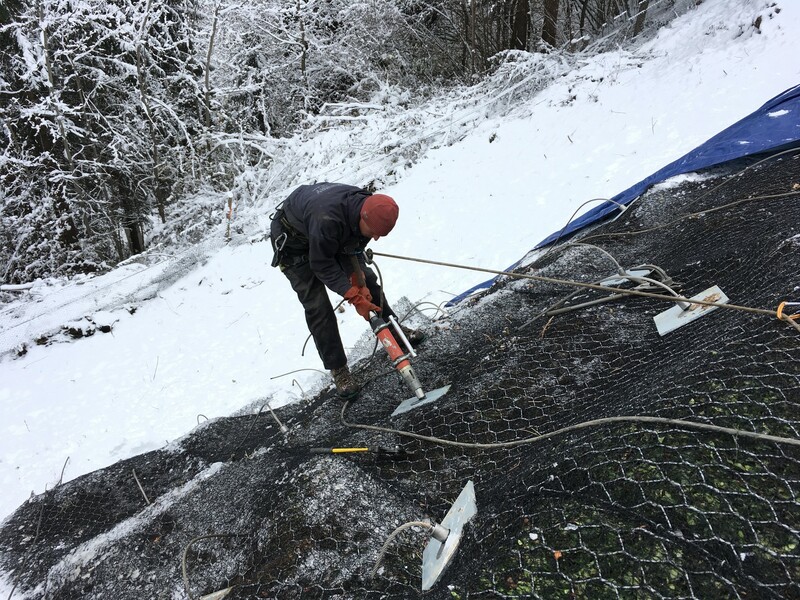 For the surface finish a Maccaferri geomat was used with large steel load plates terminating each anchor point.